Erika Peterman joined BASF’s Performance Materials North America in January 2014. She leads commercial business management activities for BASF’s polyurethanes and engineering plastics portfolios across the region. Erika joined BASF in 1997 and held a variety of technical and commercial roles throughout her career. 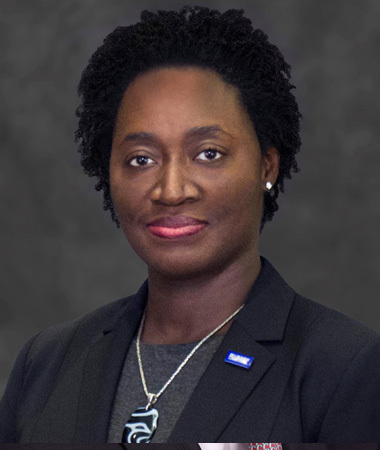 She began as a process engineer in manufacturing at BASF TOTAL’s joint venture petrochemicals facility in Port Arthur, TX. During her time in Texas, she held various positions including site yield analyst, senior operations engineer, and cracker feedstock economist. In 2007, she relocated to Florham Park, New Jersey, to work in product management for BASF’s Performance Chemicals business. Erika accepted a global strategic marketing expatriate assignment with BASF’s Dispersions and Pigments business in 2009. Her four and a half years in Europe were split between the company’s world headquarters in Ludwigshafen, Germany, and Basel, Switzerland. She was appointed Vice President of Global Marketing for Pigments and Performance Additives in 2011. Erika holds a Bachelor of Chemical Engineering from Georgia Institute of Technology in Atlanta, Georgia, and a Masters of Business Administration from the University of Houston. She resides in Michigan, is married and has two sons.